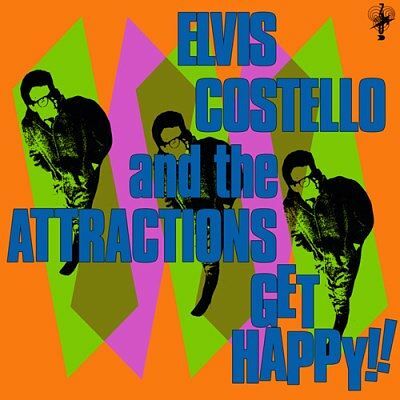 Elvis Costello / Get Happy!!! Somewhat tarnished by Declan’s booze fueled Ray Charles remarks leveraged at Stephen Stills and Bonnie Bramlett, which still resonated at the time of its early 1980 release - Get Happy! was a decidedly soul rhythm and blues genre exercise that actually worked! Though Elvis’ compositions were a bit thin, virtuoso Attractions bassist Bruce Thomas upped his James Jamerson / Jerry Jemmott joneses; rolling the treble off his salmon pink Fender P and working deep in the pocket peppered with gritty grace notes and countermelodies. And dig Barney Bubbles’ radical retro artwork!